Congratulations to StoreYourBoard team rider Tyler Nelson for completing a successful summer wakeboard season with a second place finish in the Advanced Division at the Aqua East Tournament in Jacksonville, Florida, fighting through a high ankle sprain in the process. 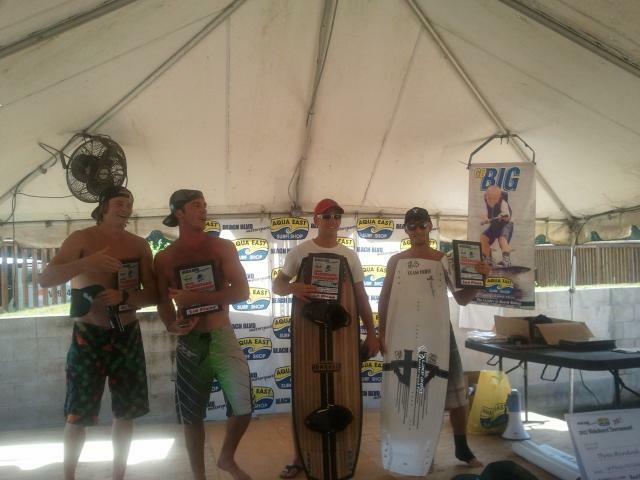 Check out Tyler, far right, sporting the StoreYourBoard hat! 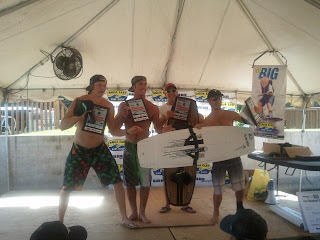 Tyler also was spent much of the season competing on the Gravel Tour at the Orlando Watersports Complex in Orlando, Florida. Tyler also had great finishes in those competitions too. Because Tyler lives in Florida, there is no real "offseason" for wakeboarding, and he doesn't have any mountains to ski/snowboard, so he will be wakeboarding year-round. For the next summer season, Tyler plans to return to the Gravel Tour and work on dominating that competition! We are proud to have Tyler a part of the StoreYourBoard team! Tyler, once again, great finish man!